Afghan Conflict Update 20181004 – Taliban’s sanctuary, Afghan War Casualty Report, F-35B in Afghanistan, Prince’s plan for Afghanistan, ISKP update, commentary on Afghanistan, SOF shooting competition, MD-530’s in action, reconciliation is the way out, and more. Resolute Support has issued a statement saying that a U.S. service member was killed in Afghanistan on Thursday, October 4, 2018. The Taliban and ISKP have stepped up attacks recently. The Taliban continue to overrun district centers throughout the country. The Afghan Special Security Forces (ASSF) continue to retake the district centers back. ISKP continues its bombing spree – sometimes targeting the electoral process. F-35B Used in Afghanistan. For the first time the USA’s latest airplane was used in a ground clearance operation. (The Hill, Sep 27, 2018). Afghan War Casualty Report. In light of the significant casualties that the Afghan National Defense and Security Forces are suffering The New York Times Magazine is offering a new feature. Every week it will published the Afghan War Casualty Report. ISKP. An update of the Islamic State in Khorasan Province is provided by Alma Keshavarz – a non-resident fellow in Terrorism and Security Studies at Trends Research & Advisory. (Sep 27, 2018). MD-530 in Action. RS HQs has published an article describing how an Afghan pilot flying the Afghan version of the ‘Little Bird’ took out ISIS-K fighters in Kabul. (RS HQs, Sep 27, 2018). Trump’s Strategy is Working. Afghan CEO Abdullah Abdullah says that Trump’s South Asia strategy is working. The CEO welcomed the ‘conditions-based’ process rather than the ‘time-based’ plan. Read “Trump’s new strategy ‘is working’, Afghan leader says“, Fox News, October 1, 2018. Key US Cdr Leaving Post Early. The commander of the Combined Security Transition Command – Afghanistan (CSTC-A) was due to leave her post next summer . . . but it appears she is on the way out. One month after General Austin Miller took command of Resolute Support it has been announced that MG Robin Fontes will be departing. See “Highest-ranking female officer in Afghanistan to leave coalition command”, Stars and Stripes, October 4, 2018. RS Cdr on “Why We Fight”. The new commander of Resolute Support, General Austin Miller, answers the complicated question on why NATO is in Afghanistan. (DoD, Sep 29, 2018). Gen Miller on Reconciliation. The commander of the Resolute Support mission in Afghanistan says “. . . the smart option is to reconcile and rebuild Afghanistan together . .” (Tolo News, Sep 30, 2018). SOF Shooting Competition. NATO forces assigned to Afghan National Army Special Operations Command, Special Operations Advisory Team’s (ANASOC-SOAT) decided to observe the Slovak Special Forces regimental 25th anniversary by hosting a friendly shooting competition. The event was designed to promote camaraderie between the NATO SOF troops participating. (RS HQs, Sep 26, 2018). Intel Cdr Interview. The 504th Military Intelligence Brigade returned to Fort Hood this past week after a year-long deployment to Afghanistan. The commander, Colonel Deitra Trotter, is interviewed about the deployment and the unit’s impact on the Resolute Support Mission. (Fort Hood Herald, Oct 3, 2018). An Advisor’s Story. We are in the midst of DoD recognizing Hispanic military members. 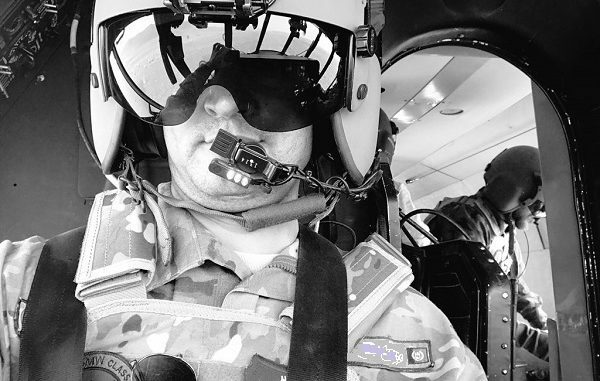 Read up on Captain Vincent Garcia’s job serving a an advisor with the Provincial Civil Advising Team for Train, Advise, and Assist Command – South (TAAC-South). (Army.mil, Oct 2, 2018). 1st SFAB in Action. Read about a team of advisors of the 1st Security Force Assistance Brigade working with an ANDSF kandak during combat operations. (Army.mil, Sep 22, 2018). Khalizad and Peace Talks. A key feature of the South Asia Strategy is edging the Taliban to the negotiating table. A combination of military, diplomatic, social, and political pressure is supposed to accomplish this goal. The US has designated Zalmay Khalizad as the U.S. Special Representative for Afghanistan Reconciliation. Read more in “Khalizad Leads Delegation to Afghanistan and Pakistan”, Tolo News, October 4, 2018. October 20th is the big date for parliamentary elections in Afghanistan. It appears that district council elections have been cancelled. There is deep concern that the Taliban and ISKP will step up attacks in the lead up to the elections – trying to discourage turnout and discredit the electoral process. Providing security for the election is daunting. There are over 5,000 parliamentary election polling centers – some in Taliban controlled or ‘influenced’ territory. Elections Loom. An election scheduled for 2015 – is now going to happen. Catherine Putz says that the parliamentary elections are a test of the government’s ability to conduct the presidential elections to take place next year. Lots of obstacles to overcome. Read “Parliamentary Elections Loom in Afghanistan”, The Diplomat, October 2, 2018. Biometrics. Afghanistan’s Independent Election Commission (IEC) has a training program to teach employees how to use its biometric system during the elections. But there are doubts that the systems will be used effectively on October 20th. See “Afghanistan training election officials on biometric system as vote looms”, Biometric Update, October 1, 2018. Private Contractors? Not so much. The Afghan National Security Council has issued a statement saying that Afghanistan is a sovereign nation and that a privatization of the war is a no-go. Hmmm. Wonder what we should do with the 26,000 contractors currently employed by the U.S. in Afghanistan. “Afghan Govt Says No to ‘Private and Profit Driven’ War”, Tolo News, Oct 3, 2018. HRW on Prince’s Plan. The Human Rights Watch organization adds its voice to the rejection of the Erik Prince plan to ‘privatize the Afghan Conflict’. Read “Privatizing War in Afghanistan Endangers Civilians”, Human Rights Watch, October 3, 2018. Sanctuary in Pakistan. The conflict in Afghanistan will continue for as long as Pakistan continues to provide support to the Taliban and allow it to use its territory as a sanctuary. Read more in The Insurgent Sanctuary in Pakistan, by Seth Jones, Center for Strategic & International Studies, September 11, 2018. New Approach Needed. Gary Anderson, a retired Marine Corps Colonel and adjunct professor at George Washington University, provides his perspective on moving forward toward peace in Afghanistan without a Taliban victory. Read “A New Approach to Afghanistan”, Small Wars Journal, September 2, 2018. Doubling-Down on Failure. Nathan Jennings, a U.S. Army Strategist with tours in Afghanistan and Iraq, provides food for thought. Read “Strategy and Reality in Afghanistan”, Real Clear Defense, October 4, 2018. More on Prince’s Plan for Afghanistan. Erik Prince, the former US Navy SEAL and founder of Blackwater, continues to advance his plan for private contractors to train up the ANDSF. The media continue to cover his public relations campaign to reshape US strategy in Afghanistan. Currently there are 14,000 US and 8,000 NATO troops in Afghanistan – augmented with over 26,000 contractors. James Durso examines Prince’s plan and finds some aspects worth consideration. “Is Erik Prince Pointing the Way Out of Afghanistan?”, Real Clear Defense, September 28, 2018. Warlords Losing Power? One commentator, Johnathan Krause, seems to think that the days of the Afghan warlord reigning supreme are over. Hmmmm. Time will tell. Read “The Age of the Warlord Is Coming to an End in Afghanistan”, The Jamestown Foundation, October 2, 2018.
Insider Attacks – Blowback? An US Army officer provides his perspective on the incidents of ‘insider attacks’. He presents the argument that many are ‘blowback’ from U.S. policy over the past few decades. See “Insider Attacks Are The Ultimate Treachery”, War is Boring, October 2, 2018. Drought Conditions Persist. The drought has affected many parts of Afghanistan over the last several months. In some parts of the country it has caused severe humanitarian conditions. The lack of rain has affected humans, animals, and crops adversely. Refugees in Turkey. Eric Reidy reports on the slim prospects for moving on from refugee status in Turkey for Afghans. Read “Fleeing worsening war, Afghans find narrowing options in Turkey”, IRIN News, September 24, 2018. Stingers and Soviet Aircraft in Afghanistan. It is no secret that the Central Intelligence Agency provided ground to air missiles (Stingers) to the Afghan mujahadeen. Many historians say that the Stingers proved to be an important addition to the insurgents weapons inventory. Read why in an article in Business Insider, October 2, 2018 by Christopher Woody. Nuristan. More than ten years ago a US infantry company deployed to remote outposts in Nuristan province, Afghanistan. Three veterans of that mission talk about the mission. John Amber captures their recollections via the Modern War Institute at West Point. Read “Chosen Company at War”, October 4, 2018.